The follow-up to 1991′s Loveless, is just that. The band didn’t miss a beat, producing something that would have nicely blown out our ears in 1992. 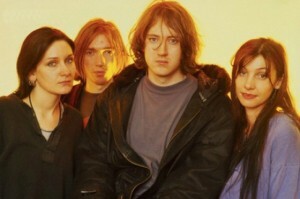 The Kevin Shields lead band claims that some of the album was recorded prior to breaking up in 1997, and more of it was written prior to taking the stage at the 2007 Coachella Festival. Now that was a show for the ages…to this day I think I can still hear the Wall Of Sound, especially when I fire up the microwave oven. MBV has turned up on nearly every reputable Top Albums of 2013 list, including mine, coming in at number 14, I also ranked the track “Only Tomorrow” as the 39th best track of the year. Frontman Kevin Shields says the band’s intentions are to release an EP of new material soon, and then follow that up with their fourth studio album. How fun, more hearing damage!